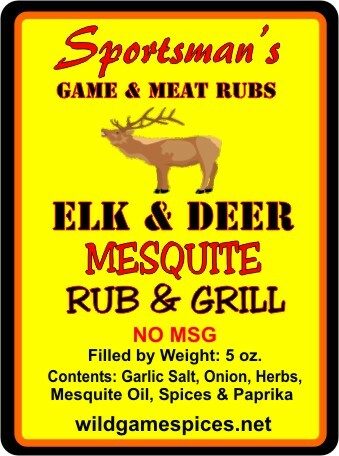 THE MOLASSES & FINE GROUND COFFEE GIVE THIS RUB A DELICIOUS UNIQUE TASTE. GREAT RUB FOR ALL YOUR GRILLED GAME. WE WORKED HARD TO GET THIS MESQUITE FLAVOR TO PERFECTION. 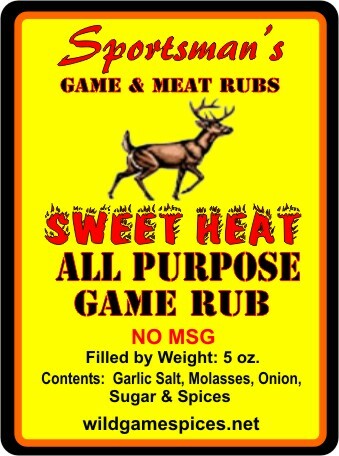 RUB ON ALL YOUR GAME TENDERLOINS & MEDALLIONS. 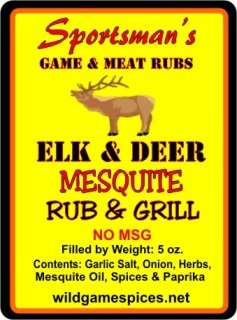 FAVORITE ON ALL YOUR GRILLED ELK & DEER YOU WILL LOVE IT!